Check out the Top 10 Reasons to Supplement Glutathione, the body’s Master Antioxidant. Present in every single living cell on the planet, it is responsible for maintaining cellular health and promoting overall immune function. Playing a vital role in every bodily system and function, this antioxidant is depleted with age and due to environmental toxins we come in contact with everyday. The single most important thing to supplement in order to maximize longevity and well-being. Without further ado, here are some of the most important reasons to promote your cellular Glutathione levels. Cellular health is the single most important factor when dealing with aging. Our mitochondria is the power plant of the cell, responsible for producing energy that we use for every bodily function. A key factor in aging is the inability for our cells to produce adequate levels of energy which leads to cellular dysfunction and reduced longevity. Inflammation is also tied closely to aging. This is why people who have sustained high levels of glutathione live longer, feel better and look younger. 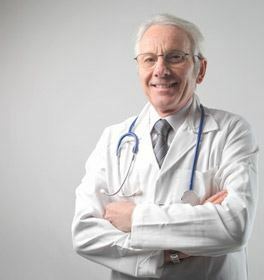 Glutathione prevents excessive inflammation in the body, while a certain amount of inflammation is required for healing in many cases, excess inflammation causes severe stress and oxidative damage to the surrounding cells. One toxin that so many people have an abundance of in their system is heavy metals including mercury, aluminum, cadmium and arsenic. These heavy metals accumulate in our body because they are very difficult to get rid of. Found in many household products that we use everyday, it is nearly impossible to avoid them completely. Deodorants, our tap water, many foods including fish as well as many makeup products contain trace amounts of these heavy metals that leach into our body gradually everyday. Glutathione helps detoxify our body’s, purging these heavy metals and improving our cellular resistance to the damage they cause. Supplementing glutathione levels allows our body to get rid of these heavy metals as well as minimizing the damage they cause to our cells. Our body requires a strong immune function and response in order to fend off infection. Part of this response is the inflammatory response. However inflammation often runs rampant, going far beyond the necessary healing and beginning to actually do more harm than good. Because of this response our body is flooded with oxidative stress and free radicals that severely impair our immune function. Supplementing Glutathione prevents the immune system from overreacting, preventing inflammation and keeping our immune system balanced and working effectively. When our immune system is functioning properly and is fortified with adequate levels of Glutathione we are much more equipped to deal with infection, viruses, bacteria and diseases. Not allowing these invaders a foothold is essential to maintain our total health and wellbeing as well as immune function. Toxins damage our gut, causing inflammation and nutrient deficiency. This leads to all sorts of issues including lethargy, lack of concentration as well as countless health conditions. Oxidative stress also leads to these same intestinal issues and prevent a healthy immune response to these gut damaging toxins. Glutathione can help support gut health and function by ridding the body of harmful toxins before they get a chance to irritate and damage the gut. Preventing an unhealthy inflammatory response and allowing our gut to function effectively, absorbing the nutrients we eat and preventing a nutrient deficiency. Heart problems and cardiovascular issues are severely affected by the level of inflammation present in the body. Coupled with high triglyceride levels, arterial health is compromised and heart disease risk increases substantially. Glutathione plays a vital role in fighting inflammation. Blood cells of people with compromised arteries are prone to stick together and accumulate causing blockages. When Glutathione is supplemented these cells become far less “sticky” preventing a build up within the artery walls and helping prevent cardiovascular disease while promoting heart health. Degeneration of the brain associated with aging is largely due to the increasing level of oxidative stress as we age. This is because Glutathione levels start dropping as we reach adulthood, as we enter the middle years of life Glutathione levels have already dropped a great deal leaving oxidative stress levels free reign to soar. Glutathione supplementation can help improve long-term memory, short term brain function and most importantly protect against cognitive decline associated with aging. Glutathione’s anti-inflammatory characteristics help prevent oxidative stress which enhances brain cell health. By maintaining high Glutathione levels you can help maintain a healthy brain and body throughout your entire life. One of the best and most powerful natural detoxifying agents, Glutathione helps bind and remove toxins from every cell in the body. Glutathione deficiency leads to a buildup of these toxins which taxes the body and the immune system, manifesting disease and illness. A powerful example of Glutathione’s ability to detoxify our cells is its use as a detoxifying agent for Acetaminophen. Acetaminophen poisoning is extremely common in the developed world, depleting the mitochondria of Glutathione which leads your cells extremely vulnerable to oxidative stress buildup. For individuals who have ingested too much Acetaminophen, doctors often use Glutathione to help protect the liver from being damaged. As well as protecting every cell in the body and ridding the cells of this harmful drug. Glutathione supplements have shown to be very effective nutritional supplements for providing the cells sufficient support and health for those undergoing conventional cancer treatments. Mold toxins or Mycotoxins are hazardous compounds that are produced by molds and fungi. These Mycotoxins can cause brain damage, cancerous development, liver impairment, heart problems as well as many other health conditions. What’s more is they are an inevitability in our modern world, avoiding these spores completely is impossible. Two of the more common mold toxins, Fusarium and Aflatoxin have been studied with Glutathione. GSH can help protect against exposure to these toxins, minimizing the toxic effect of these dangerous mold spores. One of the most abundant and powerful antioxidants in the body, Glutathione is vitally important to liver function and health. Helping detoxify cells and clear the body of harmful toxins that would otherwise inhibit liver function. When the liver is over exposed to these toxins it begins to become inflamed, which can lead to non-alcoholic liver disease and eventually cirrhosis of the liver. Supplementing Glutathione levels is the best way to promote liver health and function. Clearing the body of harmful toxins, allowing the liver to perform its job effectively and efficiently. Preventing inflammation, oxidative stress and toxic build up which leaves your body better equipped to deal with infection and disease. The obstacle of supplementing Glutathione in a convenient and cost effective way has been long standing. Conventional Glutathione supplements are not bioavailable, being broken down in the gut before they have a chance to be absorbed and distributed amongst our cells. A recent breakthrough in Glutathione oral supplements has allowed people to supplement this Master Antioxidant more effectively than ever before. Acetyl Glutathione is the Acetylated form of GSH, encasing the molecule in a lipid like bubble of protection. This allows protection from intestinal breakdown and allows the Glutathione molecule maximum absorption among the body. 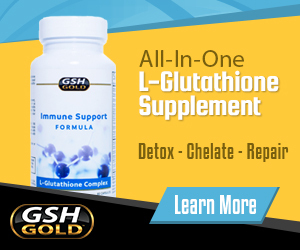 Supplementing Acetyl Glutathione is the first effective way to directly increase GSH levels orally. Precursors such as N Acetylcysteine can help promote endogenous production of Glutathione within the cells, coupled with Acetyl Glutathione you can enhance GSH levels more effectively than ever before with a high quality Glutathione enhancing supplement.